Out of the frying pan and into the fryer it goes for Josh who can’t seem to keep his fictional relationships straight. That’s okay, though, since he, Emily, and the rest of the crew are professional enough to keep this from affecting the birth of VGMJB4B, a corporation dedicated to high fidelity, low information, and justice for the babies. Will Josh fall for a fancy jukebox, clad in gold? Is Emily putting enough into her retirement fund for her gaming needs? And just how many of their patrons are ninjas, exactly? 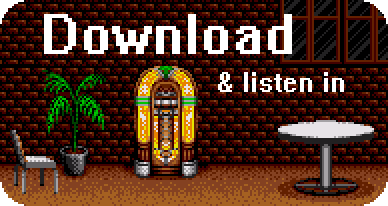 Find out all of this and more in this exciting and fiscally responsible episode of the VGM Jukebox.